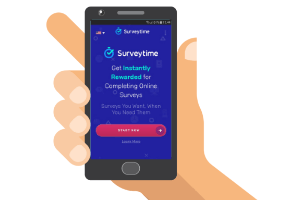 Surveytime claims you can use it to get instantly rewarded for completing online surveys. But is Surveytime a scam or is it really a fast paying survey site? I have joined and tested it myself, and have also been paid by it. This means that it is legit since I know from personal experience it pays. That does, however, not mean it is necessarily worth it for you. In this Surveytime review, I will show exactly what you get and how it works so you will easily be able to decide if it is a site for you or not. Disclosure: Some articles on PaidFromSurveys.com contains affiliate/sponsored links. Click for more info. What is Surveytime and what does the site offer? Surveytime is a very simple and easy-to-use survey site that offers you to share your opinion in paid surveys and get paid for this. It is so simple that it almost confused me when I first joined:-) This might sound strange but there is not much information on the site, so I was even quite suspicious when I first saw it. I still decided to join, and as already mentioned, it definitely turned out to be a legit site as I have now been paid by it myself several times. But to know if it will be worth it for you or not, let’s look at exactly what it offers and how it works. It is, as mentioned, very simple, but this might also confuse you at first. There are some steps you need to take to earn, and I will explain these below. The reason I am still mentioning this step here is that the registration process is a bit different from most other survey sites. It is very easy to join by just giving your email and name. It is, however, different in the way that you do not have to choose your own password which kind of confused me at first. After you join, one will automatically be generated for you and send to you via email. Also, as usually on survey sites, you need to confirm your email. This step is important on Surveytime – without confirming your email, you will not be able to get your rewards out. So these are the initial steps to join. Still, quite straight forward even though a bit different. What confused me at first was, however, the next step. The next step on Surveytime is a bit different from most other survey sites. Right after you join, you are asked to take a survey to fill out your profile so they can match you with surveys. Right after you join, you have to take a profile survey. Most survey sites have a profile you can fill out to get a better chance to qualify for surveys so there is nothing unusual in this in itself. But on Surveytime you have to fill it out before you even get to the members area. This is a bit unusual to be asked to spend 15 minutes to do an initial survey before you have even seen what it offers in the members area. This honestly made me a bit suspicious. During the profile survey, I was also asked the same questions several times and it made me a bit annoyed and I was not sure what was going on. The reason for this was, however, probably to check the consistency of my answers to see if I answer surveys honestly. So if you join, make sure to answer honestly so you can give consistent answers. Luckily it did not take too long to fill out. It says it should take you around 15 minutes but for me it only took around 10 minutes. I am glad I did. Because even though the initial sign up process confused me a bit, it turned out it had some really good survey options once you are a member. I was very curious to see what Surveytime actually offered on the inside. It actually turned out to be quite a lot of survey opportunities. There is nothing else on the platform or in the members area. Just a list of the available surveys. Examples of surveys on Surveytime. There is not even a profile where you can edit your password or anything like this. There is just a list of surveys. For me, there was right away a decent list of about 8-10 available surveys. It, however, changes all the time and also depends on the country. So there might be fewer or more for you. There might even be times when there are none, but then you can check back later. The way Surveytime is created is very simple and the simplicity makes it very easy to use. Not just the way you just get a list of available surveys, but also the payout method as we will get to in the next section. But you get a list of the surveys and you can see a time estimate. In my experience, the time estimate for each survey is fairly good. It might take a little longer or a little shorter. But for the surveys I have taken, it was close to the estimate. The surveys are taken through third-party providers, so you click a survey and are then taken to another site where you complete the survey. After you have completed a survey, you will be taken back to Surveytime and can see the reward and decide how you want it. 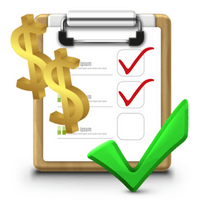 The payout method is another area where Surveytime is a bit different from many other sites. The first thing you need to know is that all surveys give the same reward. Every time you complete a survey, you will get $1. I have tried to get $1 for a 2-minute survey and also get $1 for a 7-minute survey. There is no differentiation which, of course, makes it very easy to know exactly what you get. Some surveys will this way have a very high reward compared to other survey sites, while others might have a slightly lower reward. But overall the reward in relation to time spent is very good on Surveytime compared to many other sites. As soon as you have completed a survey, you will be asked how you want to get your reward. The type of reward available depends on your country. But most countries offer PayPal as one of the options. PayPal is one of the payout options in most countries. Some countries also offer other payout methods. In the US, you can for example also choose to get paid with gift cards to Amazon, Target and Decathlon in addition to PayPal cash. PayPal as a payout method is used on many survey sites and is, in my opinion, a great way to get your rewards. And how you get your money like this on Surveytime is something I have not seen before. As you can see in the image above, right after completing a survey, you have to choose how you want your money. I chose to get paid through PayPal. I then had to verify my phone number. According to Surveytime, this is to protect your rewards and they will never use your number for anything else. It was only for the first payout I had to confirm the phone number by using a code I received in a text message, so not a problem at all. And I have also not experienced the number has been shared or anything like this as it sometimes happens on the shady survey sites. 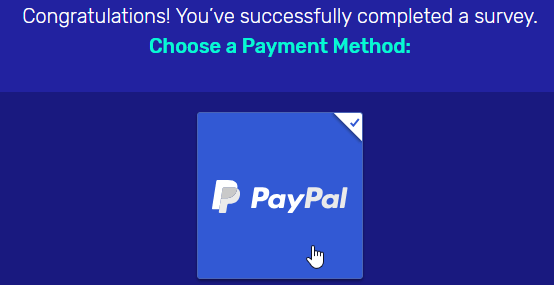 Anyway, it took less than 1 minute and once that was done and I chose PayPal, I received an email just a few minutes later that said I had now received my reward. I received my payment only a few minutes after completing my first survey. There are other survey sites like, where you can get your rewards already when you have earned $1 and get them super fast. But it is the first time I have seen it like this where you right away get the money transferred and do not actively choose when you want a payout. I think this has both advantages and disadvantages. The advantage is that you will get your money right away. I like quick paying survey sites compared to the sites where you sometimes have to wait for weeks to have the survey confirmed before you can get your reward. However, I also like being able to decide myself when I want the payout. I think it can be nice to collect a bit of money in the survey site account and then get them paid out at once. But overall, I think it is great with such a quick payout and it is one of the fastest I have seen, but if you prefer being able to wait and gather money in your account before you get a payout, then Surveytime is not for you. There is, in theory, no limit to how many surveys you can complete on Surveytime as long as there are available surveys. But there are, of course, not unlimited surveys available. How many that will be available depends on a lot on the country you live in. But in my experience, it has a decent amount available and it also has surveys available in countries where it usually can be difficult to find any. So it is definitely a way to make some extra cash on the side. But it will, as all other paid survey sites, not be a way to make a full-time income online and not something that will make you rich. But Surveytime can be a nice way to get to share your opinion and earn some nice extra cash at the same time. Surveytime.io is fully mobile optimized and the website itself works well on mobile. So if you want to earn by taking surveys on the go, this is possible with Surveytime. Just be aware that since the surveys will be taken on websites of different providers, it is not sure all of them will be fully optimized for mobile. Most of them definitely will be possible to take on mobile, but just be aware that there can also be surveys where it takes a bit a scrolling in and out. Something I really like about Surveytime is that it is available worldwide. There will, however, be different amounts of available surveys from country to country. But any country can join and it offers good opportunities even for countries where it usually can be more difficult to find survey opportunities. The platform is also available in different languages. At the top of the screen, you can choose the language. The language settings on Surveytime. At the moment of writing this review, it is available in English, Russian, and Chinese. But many of the surveys will actually be in your own local language even if one of these languages is not your mother tongue. One thing that is a bit strange about Surveytime is that I could not find info contact info for their support on the website. There is an FAQ section where you can get answers for most questions, but there is no contact info. A bit strange it is so hidden, but since it is such a simple site it is also possible that you will never need support. But now at least you know there is a support email in case you should need it at some point. I had a few questions myself and contacted their support. It is very quick at getting back to you and very helpful, and this is a very good quality of a survey site. Surveytime is definitely legit as it pays out and it pays out quickly. This does not necessarily mean it is the best site for you. So let’s finish by summing up the pros and cons so you can get a better overview to help you decide. Overall, I think Surveytime is very user-friendly once you get used to how it works differently from most other survey sites. If it is the right platform for you depends on a lot of the preferences you have in relation to payout methods. 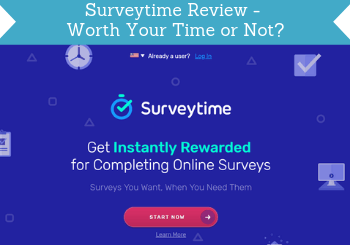 If you like getting your rewards right away, then Surveytime gives some pretty good rewards for short surveys and you get your money right away. If you prefer gathering more earnings in your account before cashing out, you should consider other survey sites instead. Surveytime is very easy to join. You just click the button below and will be taken to the sign-up page. Remember to take the first initial survey profiler right after signing up to be able to get access to the surveys. Then you will be able to start earning right away. I hope this review has helped you to see exactly what Surveytime offers and find out if it is a platform for you or not. If you have any comments, questions, or have any experiences with Surveytime yourself, I would love to hear from you in a comment below. Surveytime is a legit survey site that gives good rewards in relation to the time spent and it pays out very quickly. Just be aware it works a bit different from most other survey sites, but once you are a member it is very user-friendly and gives access to a lot of surveys. I signed up for SurveyTime yesterday and went through the preliminary questionnaire. Once I finished, it said “Start Survey”. When I click on it, it says “You have already taken the survey”. Once I close the screen, it opened a new screen “Send notifications to Email, Desktop and Text”. There is no Logout Option in this website. Today, when i opened the website, it said “We have a new survey based on your demographics”. When I click on it, again it said “You have already taken the survey”. This has happened many times today. And I have NOT taken a single survey yet !! Since there is no Logout option, I am not sure anyone in this world can hack the Email ID, to take survey on my behalf… May be, this does not work for India. Just wanted to let you know to help you update your list. Thanks. Thanks for sharing your experiences. It should work from India so sounds strange what you are experiencing. I would write their support if I were you and ask them what is going on. About logging out – it is possible to log out from Surveytime. In the right top corner, there is a small icon. It does not say “logout” so it might not be so clear but if you click it, you will log out. I got paid from Surveytime once but this site is annoying and hard to qualify for surveys. Thanks for sharing your experiences Pam. Great to hear you got paid even though you find it difficult to qualify for surveys there. I wish I knew how to delete my account from this site. There should be a link in the emails you receive from Surveytime where you can unsubscribe. If that does not work, then try to write their support and ask them to delete you. Thx but still it has refused to change the language what could be the PBM …. That is very strange. I would suggest you to then write their support and ask. At the front page, there is a small flag at the very top of the screen. 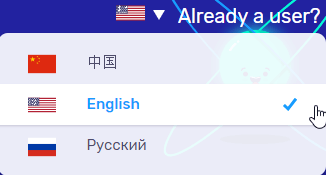 Here you can select language. Does surveysite pay through payoneer? Surveytime does not pay through Payoneer. But there are some survey sites that do even though very few. But a really good option that offers Payoneer is ClixSense. I have completed 2 surveys today and hadn’t been paid! Had no problem before today, emailed and no response?? Sounds strange. What did it say once you completed the survey if it did not take you to the payout option? If you just wrote their support today, I would not worry yet. In my experience, from the couple of times, I have been in contact with them, their support answers but it can sometimes take up to a couple of days. Thanks…no reply up to now, yes I did complete the surveys, got to the tick and then rated using the smiley faces….but nothing yet…not had a problem before today. On and it did take me to the layout option and I clicked paypal. Sounds like a technical glitch. Hopefully, the support will soon get back to you. Feel free to keep me updated about how it goes. Good to hear you also got paid immediately Darlene and that I could help with the support email. I completed a survey on survey time and entered my paypal id after completing the survey, however I received an email from their end that the email id is wrong. I think they scammed me. Did you try to write their support Vaishali? If you have used a PayPal email address that is working it should have not been a problem. So maybe there is a technical glitch. So I would suggest you to reach out to their support.